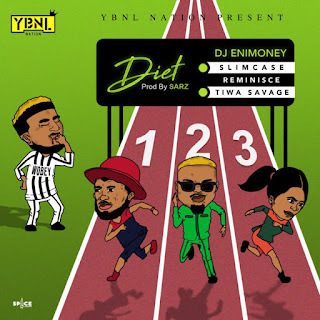 "YBNL official Disc Jockey, Dj Enimoney teams up with Mavins First Lady, Tiwa Savage, the oshozondi crooner and Reminisce to give us this madt tune titled ” Diet “. ” Diet” is a street slang for “take it easy” or “slow down” as to take our minds away from the extreme thoughts of survival. This creative piece is currently enjoying wide acceptance by fans. 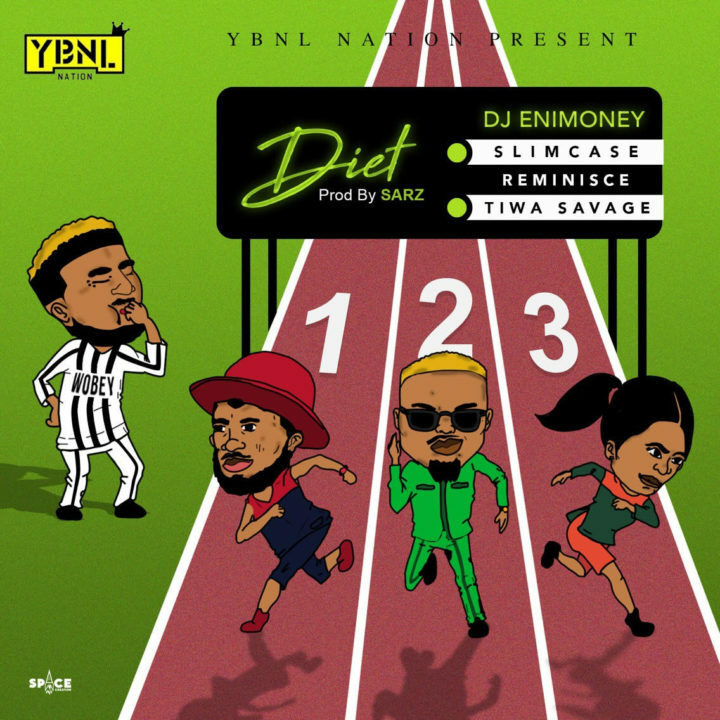 DJ Enimoney in his usual class gave an electrifying account of himself in this latest jam."